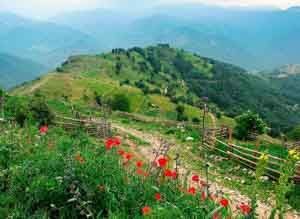 The Rhodope mountains are one of Bulgaria’s most beautiful regions. They are the mystical lands of Orpheus who charmed everything with his music and song. On this mountain biking tour the Rhodope will charm you with its scenic beauty and authentic lifestyle as you ride from village to village meeting local people and discovering their ancient traditions. It will be one of the best cycling holidays you have ever enjoyed! 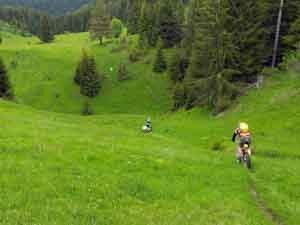 The mountain biking tour in the Rhodope mountains can easily be tailored to your personal preferences. It can be adapted to your level of fitness as well as your budget and time. The MTB trek can be organised anytime between May and October. 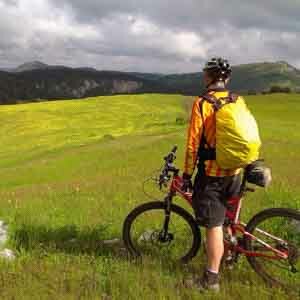 The mountain biking tour of the Rhodope can be adapted to your personal preferences, time and budget. More information and photos of the MTB Trek in Bulgaria.